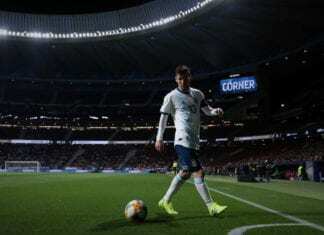 Barcelona manager Ernesto Valverde has heaped praise on Lionel Messi after scoring his 50th La Liga hat-trick against Sevilla on Saturday. On the back of just one goal in their last three matches, Barcelona ended a difficult week on a high note by beating Sevilla 4-2 in Andalusia to move 10 points clear at the top of La Liga for the time being. Although a Jesus Navas counter-attack strike in the 22nd-minute threatened another upset for Barcelona before Messi stepped up and equalised with a brilliant volley just four minutes later. 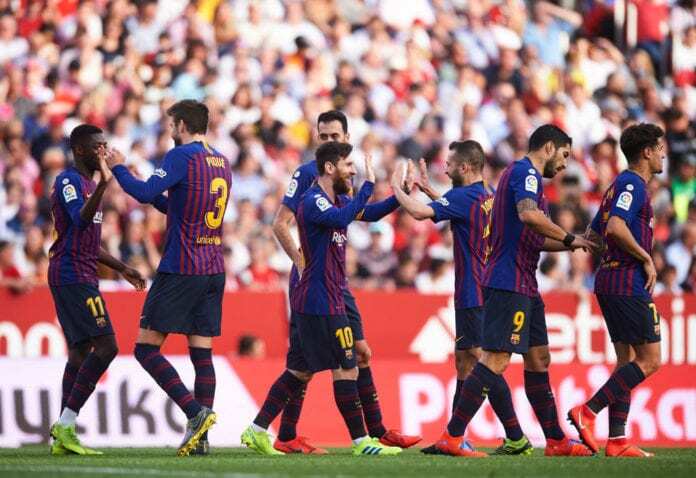 After Gabriel Mercado restored Sevilla’s lead, Messi then responded with two second-half goals to put Barcelona in front for the first time. The five-time Ballon d’Or winner then turned provider for Luis Suarez during injury-time to help his fellow striker score his first goal in five games. Speaking after the 4-2 win, Valverde heaped praise on the “decisive” Messi for once again coming to the rescue for the Blaugrana. “Three huge congratulations for the goals and another half for the pass, he is decisive and superlative,” said Valverde, according to Marca. “Every team has decisive players, but we have the best in the world. The Spanish coach admitted that Barcelona struggled early on to get control of Sevilla and, therefore, had to make some changes. 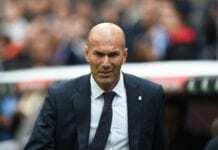 Valverde added: “We were losing, that much is clear, despite dominating possession. “It was a bit misleading because they could attack us on the counter, that’s how they got the first goal. Next up for Barcelona will be two Clasicos against arch-rivals Real Madrid at the Santiago Bernabeu. The first one will be on Wednesday in the second leg of their Copa del Rey semi-final tie with the aggregate scoreline level at 1-1. Then a La Liga clash awaits for both teams next Saturday.